Well this is bad news. 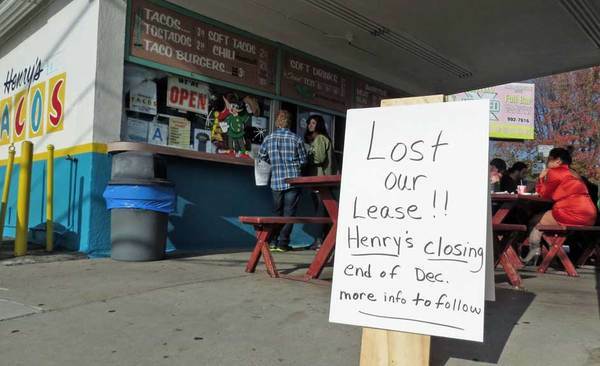 It looks like Henry's Tacos will shutter this month for good. 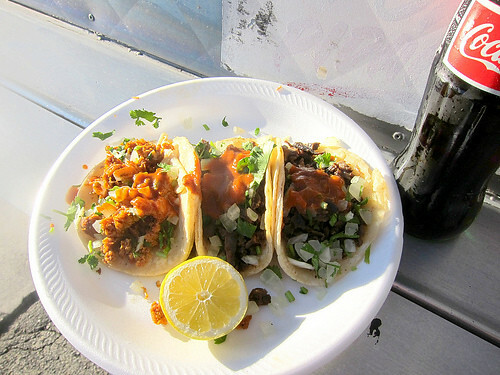 A taco stand loved by locals and non-locals alike, Henry's has been serving some of the best "gringo" style tacos in LA for over 50 years. The googie architecture taco stand has been a fixture at the corner of Tujunga and Moorpark for half a century, yet efforts to get the building declared a historical site fell short.Now, inexplicably their landlord is threatening not to renew the lease. I am very sorry to have to announce to everyone that it looks like Henry's will be closing for good on December 31. As some of you know, Henry's is just too much for me as a single, childless woman approaching 60 with no family within 1700 miles. I have had several prospective buyers committed to continuing the tradition, but all have been turned down by the landlord. The current prospective buyers have agreed to all the landlord's terms, but he has ceased communicating with them. Therefore, I have given my notice and it has been accepted by the landlord. I believe this all goes back to my unwittingly angering the landlord by nominating Henry's for Historic Cultural Monument status. As Councilmember Krekorian put a stop to that, the landlord may want to bulldoze Henry's and build something else. I am hoping to get some media coverage in the next few days. Needless to say I am heartsick that after 51 years, Henry's may end for no good reason. Thanks to you all for your support. It’s been a couple months since I’ve posted so I thought I would get back into the swing of things with a list of my top five favorite taco trucks at the moment. This list is always evolving so bear with me. And if you have your own list feel free to share it in the comments. 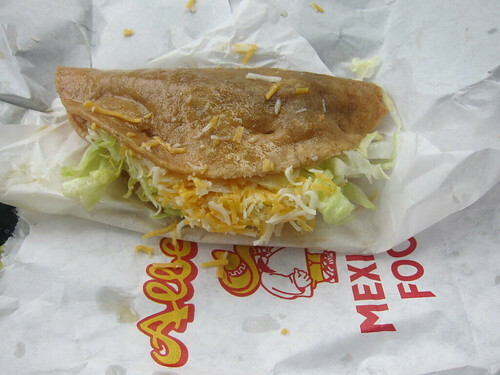 I’m very particular about what I like in a taco. First, I need a good chile salsa and it has to be spicy. If it’s not spicy there at least needs to be a freshly grilled jalapeno on my plate.The meat has to be up to par as well. Some gristle is okay, but if I have to do a meat inspection after my first taco that’s not a good sign. 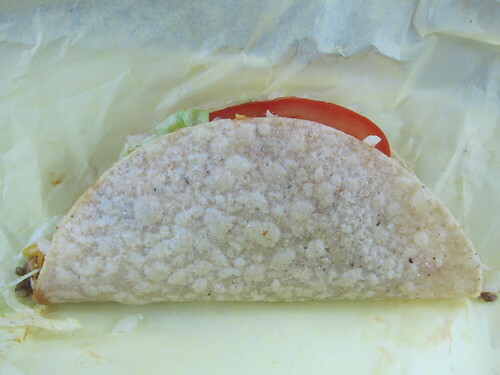 I think the least important part of the taco is the tortilla. I like tortillas hecha a mano as much as the next taco lover, but I’ve had plenty of very good tacos with regular store bought tortillas. The tortillas have to be prepared right however. This means properly oiled,hot on the plate,and not burned. 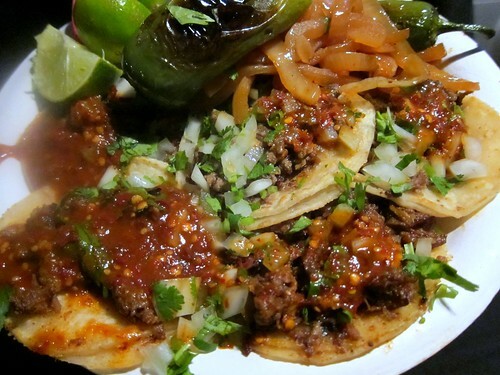 I love these kinds of tacos. Right off the grill, topped with onions, cilantro, and a spicy chile salsa. 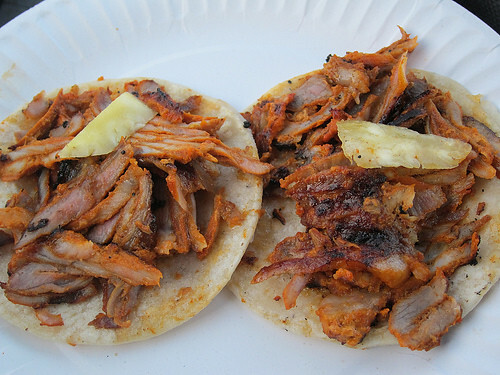 Try the al pastor, which is more like seasoned carnitas. The asada is very good too. 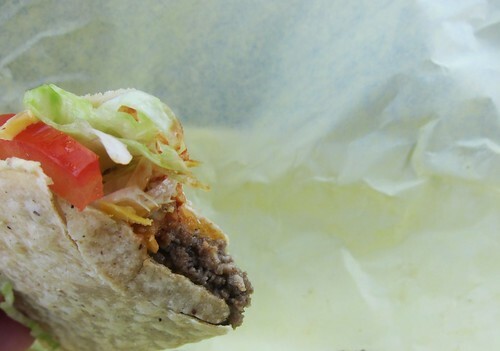 There’s nothing ground breaking here; just some great LA tacos. Though on a recent night, after a good session in Old Town, they were especially delicious. 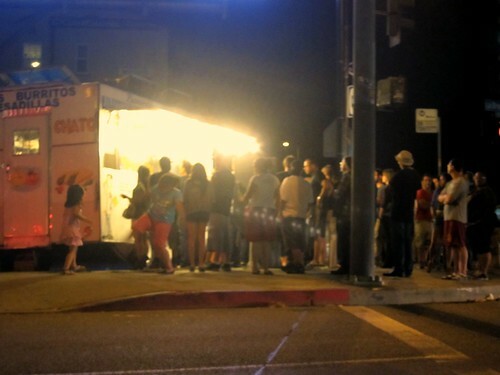 This is my local taco truck on the weekends. My usual order is a shrimp tostada and three tacos (asada, carnitas). 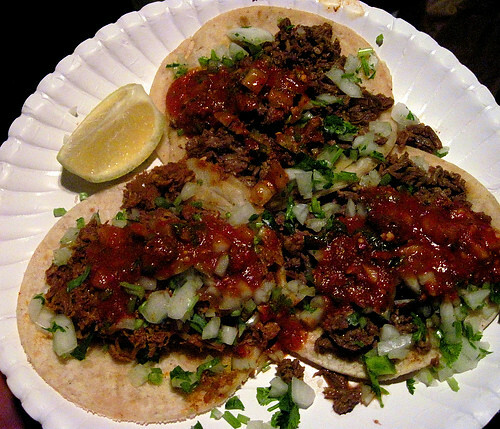 The tacos come garnished with onions, cilantro, pinto beans, and a flavorful medium spiced salsa. If your lucky your plate comes topped with grilled onions and a grilled jalapeno. 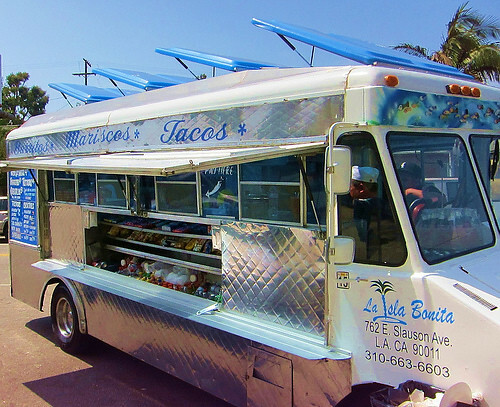 Some may be surprised by this inclusion since La Isla Bonita doesn’t usually get name checked among LA’s taco truck elite. But I’ve been eating here for years and it never disappoints. There is a lot to like about El Matador. 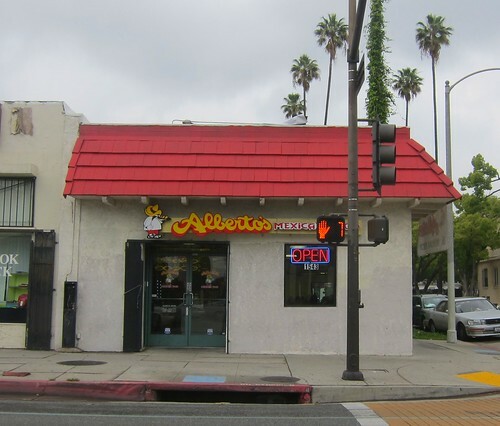 The taquero is friendly, the service is quick, and the salsa roja is blistering. The meat is quality too but for me its all about the salsa here. You don’t pay until your done eating so don’t worry if the taquero hands you your plate of tacos and then ignores you. Just settle up your bill in the end. 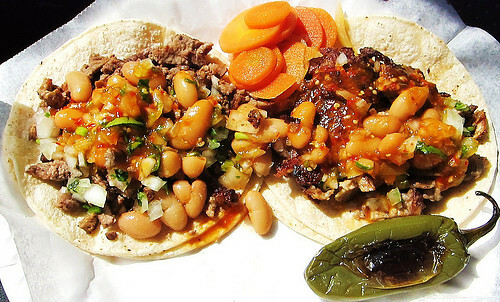 Try the asada, al pastor, and longaniza (sausage). 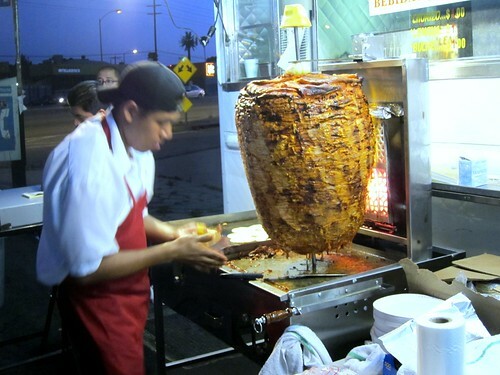 I remember the first time I tried the al pastor at Tacos Leo. I couldn’t wait to get home and tell the Internet. These days it’s hard not to notice the bedlam at the corner of La Brea and Venice. If it’s a Friday night it looks like a party atmosphere with half the neighborhood converging around a spinning wheel of pork, hungry and willing to wait for as long as it takes. However long it is, it’s always worth it. Well what more is there to say about El Chato? 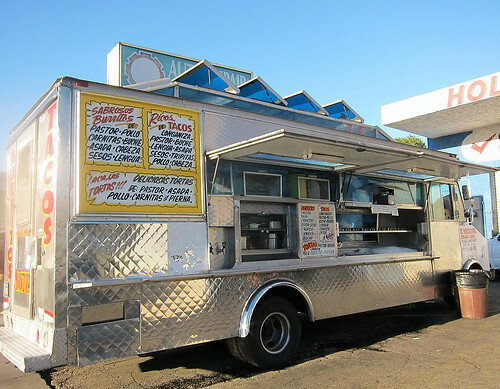 This is one of the most popular trucks in LA. I always order six tacos evenly split between al pastor and carne asada. Sometimes I’ll sub a chorizo for asada. 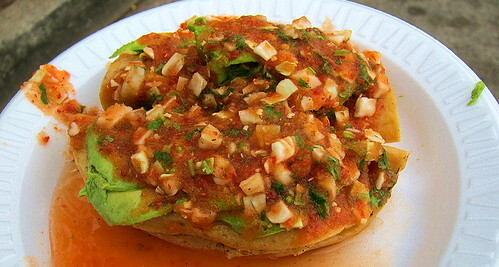 The tacos come piping hot on your plate with a delicious and spicy salsa roja. They are the size of your palm and can go down in one bite. The lines can get long but the crew inside the truck is very efficient and professional. When I have friends visiting from out of town this is the first truck I take them to.